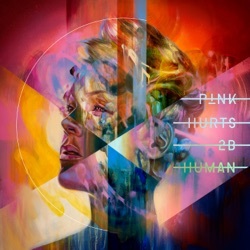 Hurts 2b Human is the eighth studio album by P!nk, released by RCA Records from Sony Music Entertainment on April 26, 2019. I miss Max Martin & Dr. Luke The quality of the content is getting worse. I hope she goes back to working with the hit makers to turn her ideas into something less sloppy. Boring as hell She basically sings about the same stuff every time.